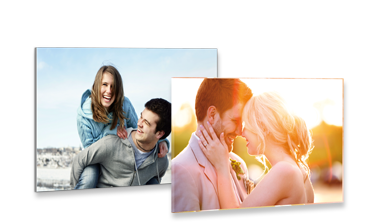 A CEWE PHOTOBOOK is a great way to capture life's special moments, and makes the perfect personalised gift for Valentine's Day. Lots of great options to brighten up your home with our personalised wall art, including posters and canvas prints. 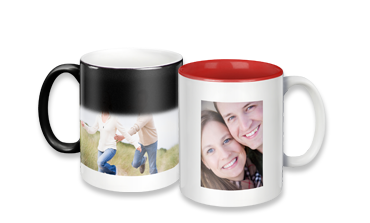 You can now admire your favourite photo on one of our photo mugs - use one of our special templates for a truly romantic gift, or create a magic mug for a special breakfast in bed surprise! 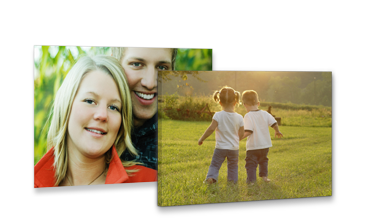 Discover the brightness and amazing depth of colour in acrylic and aluminium prints - the perfect way to show your photos and artwork in style! On your travels or at home: You’re sure to sleep soundly on this cushion and dream of your loved ones. 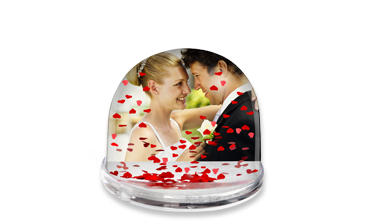 A hit for lovers everywhere: the snow globe with hearts and your personal favourite picture. With this quality crystal photo heart it’s easier than ever to say you care! It comes to you in a stylish gift box, with your photo beautifully etched in a timeless crystal heart.